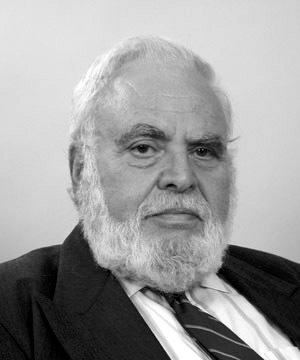 Ph.D. in Mathematics, 1957, Harvard, Cambridge, MA..
Dr. Golomb, while completing his Ph.D., spent a year in Norway as a Fulbright Fellow. He then worked as a Senior Research Mathematician at Jet Propulsion Laboratory, later becoming Research Group Supervisor and then Assistant Chief of the Telecommunications Research Section, where he played a key role in formulating the design of deep-space communications for the subsequent lunar and planetary explorations. Dr. Golomb, who joined USC as a Professor in 1963, is a member of the National Academy of Engineering and a Fellow of both the IEEE and AAAS. He received the USC Presidential Medallion in 1985, was awarded the title of University Professor in 1993, and won the Shannon Award of the Information Theory Society of the IEEE in 1985 and the Hamming Medal of the IEEE in 2000. He became a foreign member of the Russian Academy of Natural Science in 1994. He has received numerous awards and medals, as well as two honorary doctorate degrees. He was appointed the first holder of the Viterbi Chair in Communications in 1999. He holds a joint appointment in the department of Mathematics. This page was last edited on 18 July 2016, at 13:52.